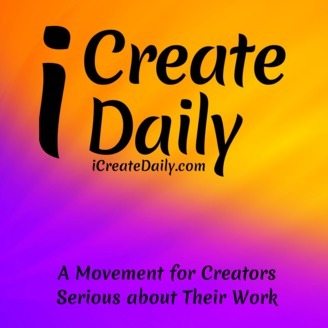 iCreateDaily is a video podcast for artists in every genre of creating, from musicians to writers, crafters to inventors, bloggers to entrepreneurs… If you are into creating anything, this is for you. 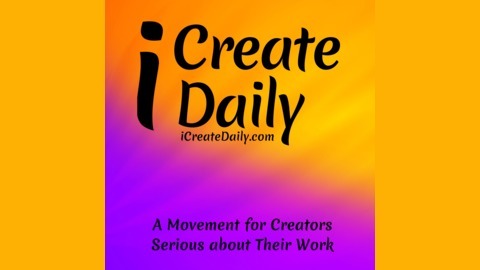 iCreateDaily is about creating, committing, connecting and contributing. We started the iCreateDaily brand to encourage creatives to do the work that matters to you, and to support you in that through inspiration, education, resources, encouragement, and community. The world needs your creativity now more than ever, and today, there are more opportunities for creatives to bring your work into the world than ever before. Updated 4/13/19: This Printful review will cover the pros and cons we’ve found in using Printful’s custom design platform. You’ll find screenshots and video as well toward providing a comprehensive review of this print-on-demand (POD) service. Creative branded products using your art and creativity is one way to generate revenue as a creator. We have tons of ideas across our brands to bring to life on apparel and product, so we’re testing multiple print on demand (POD) platforms beginning with iCreateDaily apparel. Printful Review Pros and Cons Here are the different major categories from each top print-on-demand company we’re covering in this article. We’ll assign a rating on the 5-Star scale as we go; 1 being atrocious and 5 being stellar. User Experience & Design Fabrics & Product Library Integration Ease Fulfillment & Payments Customer Service & Resources We also created a video demo of making a t-shirt design and lots of photos, so you can see Printful in action. Read the full review here.